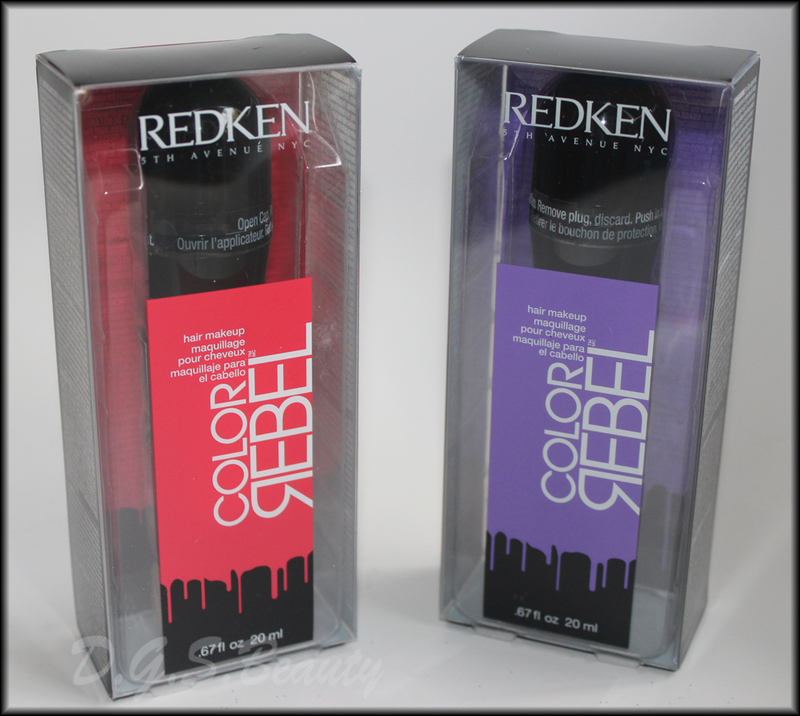 Redken’s NEW Color Rebel Hair Makeup is a great way to give your hair a temporary pop without a longterm commitment. 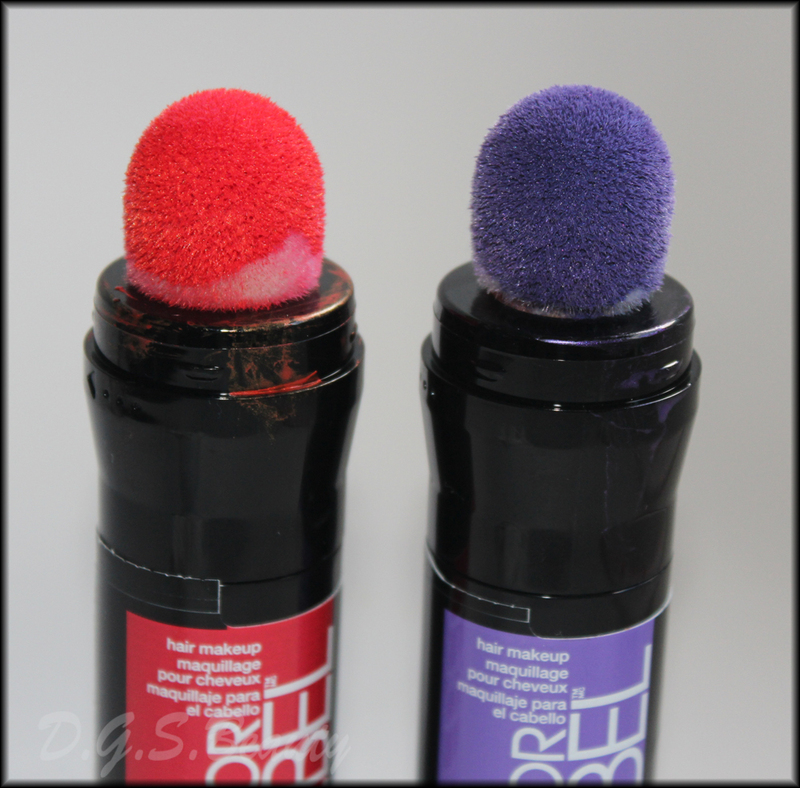 Using makeup technology with direct color pigments, Color Rebel deposits a very fine colored micro-coating on the surface of the hair, making it resistant against water and mechanical aggressors, such as brushing, blowdrying or flatironing. The hydrophobic nature of its micro-coating limits modification or transfer due to water. 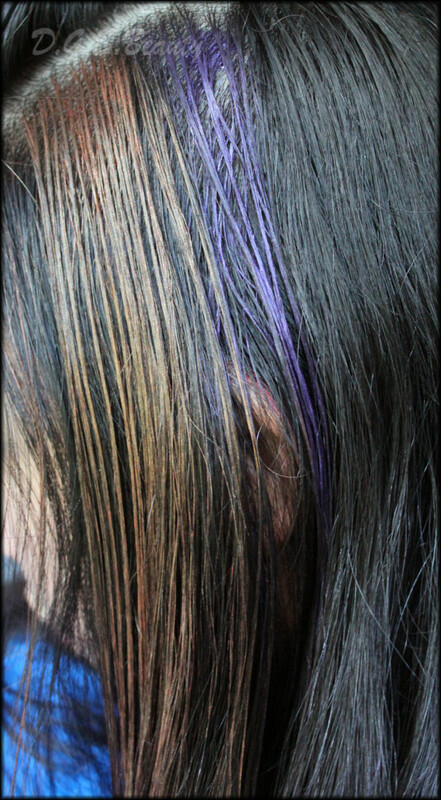 Water slides along the surface of the hair fibers coated by Color Rebel. I received Red-y to Rock and Purple Riot. When it comes to hair coloring, I become very indecisive. I haven’t colored my hair in over five years so receiving this temporary hair makeup did the trick for fulfilling my want to change my hair without it being permanent. 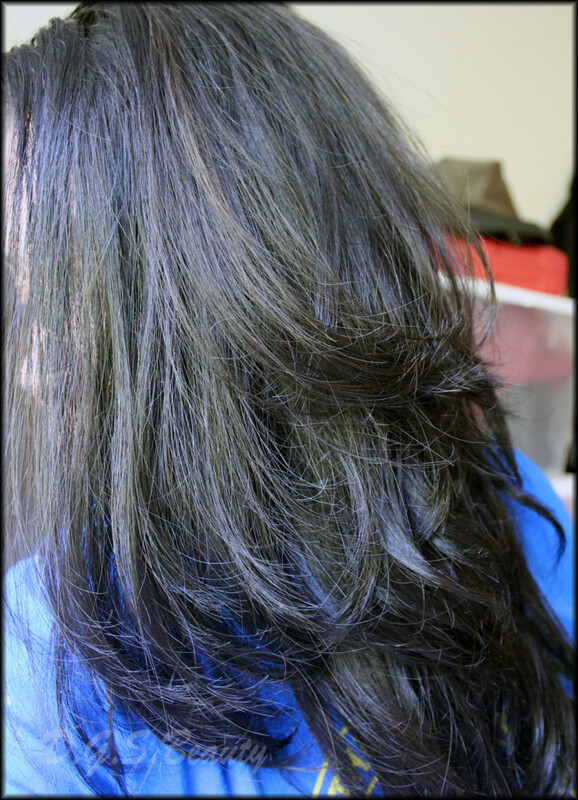 Also, having pitch black hair doesn’t make it very easy to color unless I bleach it first. Just to experiment I decided to see exactly how the colors would turn out on my hair. As you can see, the red was more of a orange shade, whereas the purple had no problem shining. After this, I washed it out so I could really play with my hair. It wasn’t a problem getting the color out before it set so once I dried my newly cleaned hair I lightly added the hair makeup. This picture doesn’t do it justice but if I step out in the sun, it’s a bit more visible. One day I’ll take the big jump and make the colors a tad more vibrant. If you want to get your hands on these, they will be available in salons nationwide in October so be on the lookout! Previous Post: Turn Up Your Look for less with Tresemmé® and Dollar General.